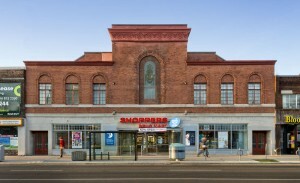 The latest incarnation of the Runnymede Theatre on West Bloor, Toronto is as a Shoppers Drugmart. 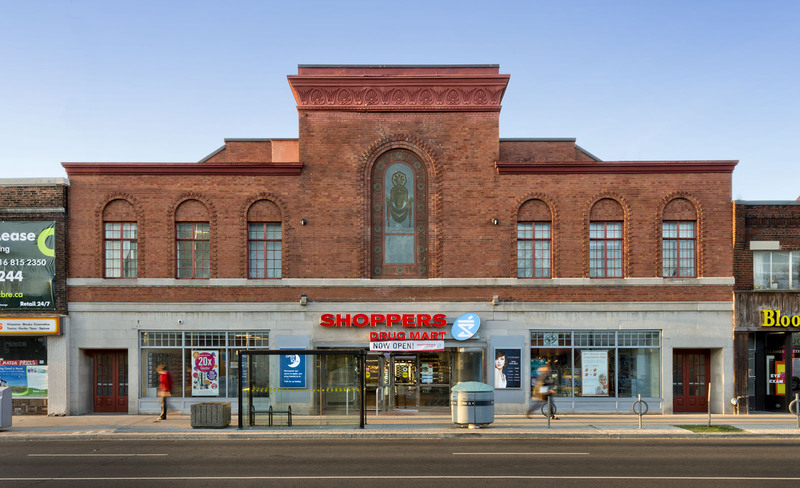 Photographed for Tuxedo Design, Montreal and Petroff Architects, Markham, full marks to Shoppers for departing from the familiar strip plaza type location and adapting to a historic designated site, with the corresponding limitations on how the building can be utilized. 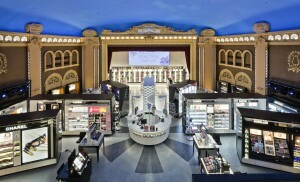 Lighting was a challenge particularly near the stage where the extensive Beauty Boutique area is situated. 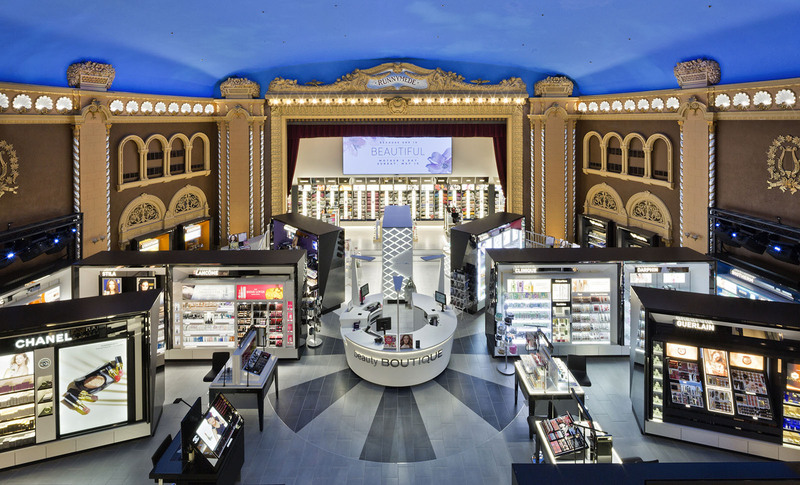 Not an optimum environment for critical photography, with a high range of contrast, but the low key lighting is very pleasant while browsing for the right shade of lipstick. Projectors create clouds on the blue ceiling, which harkens back to the early days of the theatre when clouds were painted on the ceiling of the auditorium. If you are in the area and short on toothpaste it is definitely worth a visit, the view from the baby care section is spectacular!